The name “Wyoming” comes from an Algonquian word meaning “at the big river flat.” It’s no surprise that the state is filled with natural wonders, wide-open spaces, and outdoor adventure for families. 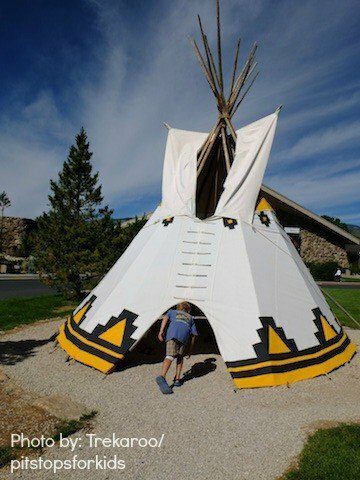 Wyoming is a great pick for a family road trip, historical trip for kids studying pioneering and Native American history, or an adventure vacation filled with sports from river rafting to hiking to skiing. Ready to begin? Ever heard of Thermopolis Wyoming? Unless you’ve made the drive from Salt Lake City to Yellowstone, you probably haven’t. Thermopolis is the home of Hot Springs State Park, the oldest state park in Wyoming. It’s the site of bubbling, steaming geothermal water under the surface of the earth, which has been ‘harvested’ in the form of natural mineral pools and spas since the local Native Americans discovered it centuries ago. 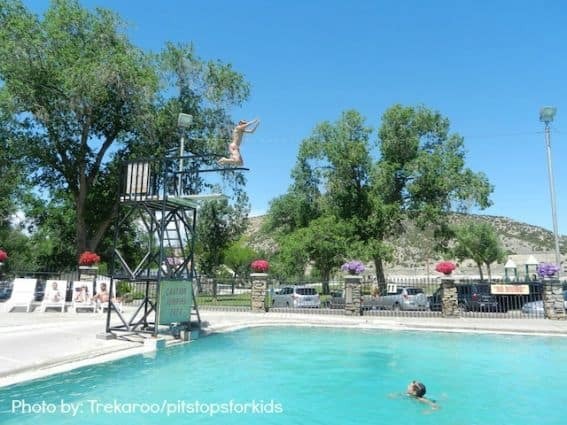 Today, families driving through can spend a day at one of Thermopolis’ fun-filled pool complexes. We recommend funky Star Plunge, which boasts indoor and outdoor pools, a diving board, three fast-paced slides, a kiddie pool, an adults-only sauna, and plenty of space to work on your tan in the Wyoming sun. Check out Where to stay in Thermopolis. Want to know what it’s like to walk along the boardwalk of an authentic western town? At Old Trail Town in Cody, Wyoming, historic cabins, storefronts, saloons, and homesteads have been transported from around the state to recreate a western town. 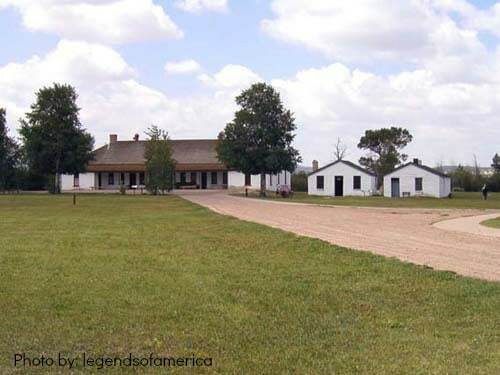 Plan to spend several hours here touring the grounds; kids can look through doors and windows to see western scenes depicted inside cabins, walk into saloons, and read letters and documents from early pioneering inhabitants. A small cemetery reminds visitors how hard life in the wild west could be, and a collection of historic wagons and carriages sit in the center of the village. Any child learning US history and anyone who’s read any pioneering books will recognize the name Fort Bridger. It’s fascinating to see the fort in person, walking where so many mountain men, pioneers, Native Americans, and soldiers took part in the forming of the American west. 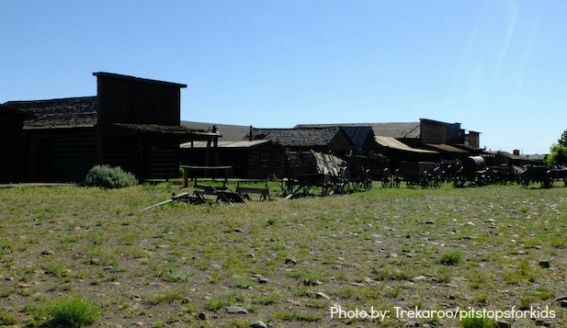 This historic site is open year round, but families will find it most lively during the Fort Bridger Rendezvous, a festival that takes place every Labor Day weekend to reenact the mountain man experience. Wyoming is home to literally dozens of first-rate dude ranches (take your pick!). Dude ranches like Paradise Ranch in Buffalo, Wyoming provide a low-tech family vacation filled with horseback riding, hiking, fishing, campfires, and relaxation. 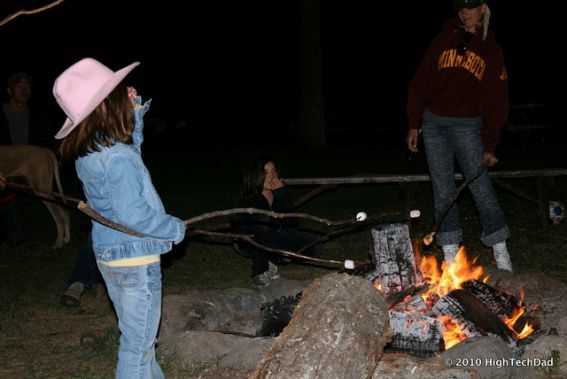 Families stay in guest cabins, dine in dining halls on cowboy cuisine, and unwind from busy lives. For a taste of Wyoming culture and way of life, a week at a dude ranch is ideal! Want more western fun? 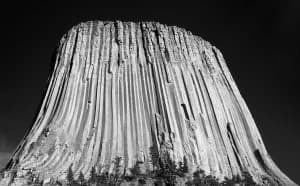 This iconic rock formation lies in the vast expanse of Northeast Wyoming and is still used for Native American ceremonies. A monument since 1906, visitors can still scramble on parts of the lower rock; there are trails to walk and plenty of wildlife around. If you’re a serious rock climber (or just like watching them), Devil’s Tower is the place to be! The Wyoming State Museum in Cheyenne offers two-floors of pioneering history with plenty of interactive exhibits for kids. Young children can dress up in period costumes and even play with toys had by Native American and pioneer children. Outside, visit a frontier home and let kids burn off energy on the grounds. In western town Cody, the acclaimed Buffalo Bill Cody Historic Center is a must-do. Multiple museums in one, this sprawling complex houses a museum dedicated to Wyoming legend Buffalo Bill, but also covers geology and geothermal activity in Yellowstone, a firearms museum, a museum of Native American history, and a birds of prey conservation center. Plan to spend an entire day! Jenny Lake is one of the most beautiful lakes within Grand Tetons, and is easy to access from the visitors’ centers of the park or from Jackson or Yellowstone. 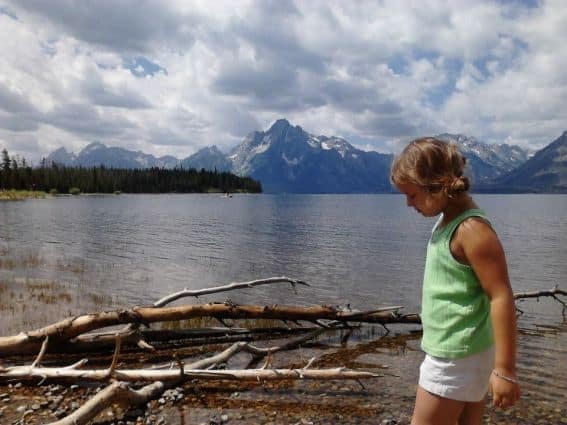 Families can spend the day here hiking to Inspiration Point from the Hidden Falls trailhead, swimming, or plan to stay a few days camping or lodging at nearby Colter Bay Village or Jackson Lake Lodge. If more exploration of the area is desired, river rafting trips can be arranged in nearby Jackson Hole, or canoes can be had to explore additional lakes. If possible, visit Grand Tetons early in the season for the best wildlife viewing and least crowded campgrounds. 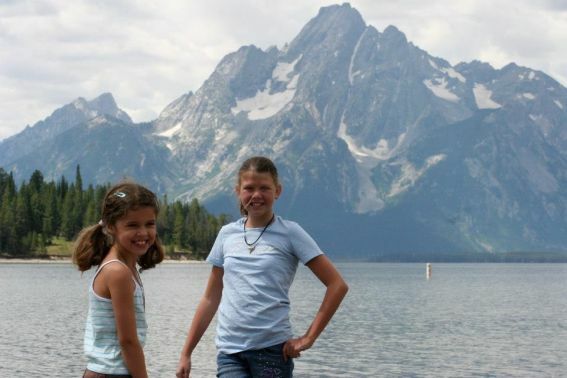 View a list of Teton and Yellowstone campgrounds for families. 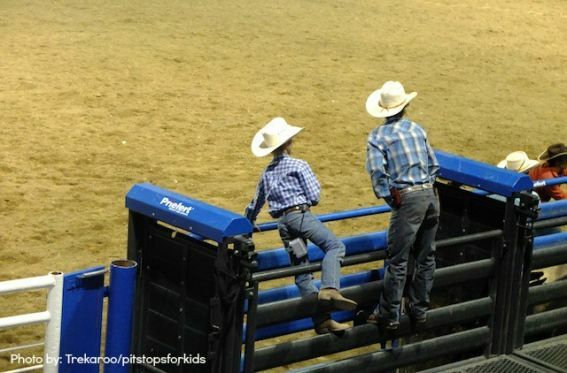 The Cody Nite Rodeo is one of the best evening attractions we’ve found for families. Taking place every single night at the Cody rodeo grounds from June 1 to August 31, the rodeo is a celebration of western entertainment and cowboy culture. You may not arrive a tried-and-true cowboy (or girl) but you’ll leave as one! Pick up a cowboy hat in town to shade your face from the summer sun, then take it off and wave it enthusiastically as the evening sets in and the stars come out. Watch bull and bronco riding, barrel racing, roping, and youth events. If you’re under age 12, be ready to enter the arena for the calf scramble…there are prizes to be won! Where to stay in Cody. Everyone is familiar with Yellowstone National Park, but many people don’t realize there’s more to see than Old Faithful. 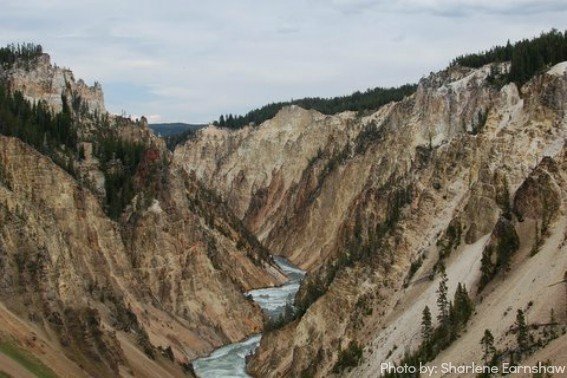 The Grand Canyon of Yellowstone follows the path of the Yellowstone River through yellow-rock canyons, and families can glimpse osprey nests in trees along the cliffs. Nearby, Canyon Village offers less crowded dining and ranger station activities, plus camping at Canyon Campground. If you have a few days in the park, spend one on the Firehole River, which rewards waders and swimmers with geothermal-heated water. Plan to drive through the park slowly and be on the lookout for bison (American buffalo) crossing the road, and definitely make the stop at the Artists’ Paint Pots (expect crowds). The Yellowstone backcountry is vast and perfect for backpackers, and the Junior Ranger program is among the best (and most challenging) in the national park system. Not sure Yellowstone is for you? Here’s why every family should visit this famed national park. Any time of year, Jackson (home of Jackson Hole skiing) may be my family’s favorite tourist town. While it certainly caters to visitors, there’s an authentic feel to Jackson, where travelers and residents alike, flock to enjoy outdoor adventure and skiing. 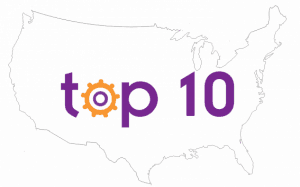 You’ll find first-rate shopping and dining in Jackson, but more importantly to families, recreational activities are affordable. 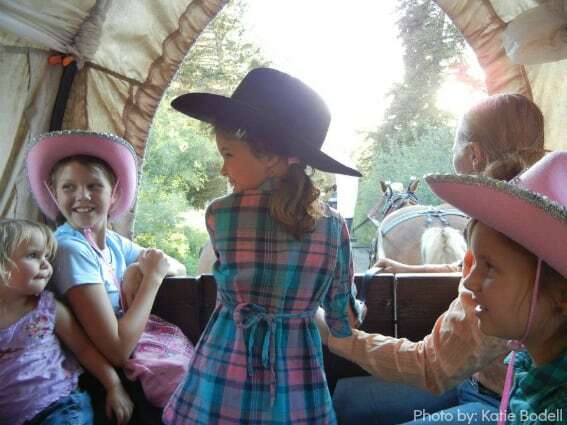 In summer, try the alpine slide at Snow King, raft down the Snake River, watch the free outdoor cowboy show, relax and dine at a covered wagon cookout, or take a day trip to Grand Tetons National Park. In winter, ski the slopes of course! A great place to stay in any season is the Snow King Resort, located at the base of low-key ski terrain and is easy walking distance of all downtown attractions. If your winter vacation is centered around Jackson Hole Ski Resort, you’ll want to stay on-site, 12 miles from town. Heading to Wyoming in Winter? Check out 8 Wyoming ski resorts (including the ones regulars want kept secret). In a state as large and diverse as Wyoming, there are endless adventures for your family. What are your favorite things to do with families in Wyoming? Lots of fun to be had in the cowboy state! Perfect weather in the summer time too! These are all places my family and I have gone too or plan on going to! All theses wonderful places with amazing creations God made!